I had no idea what to make of The Falling at first. I knew that I had sat in a dark auditorium for over an hour and a half, but wasn’t quite sure what I had put myself through. It was clear, though, that writer-director Carol Morley definitely hadn’t made a bad film, not even mediocre – but at the same time, it was unclear to me exactly what it was trying to get across. Was it a pseudo-horror flick, akin to the likes of It Follows? Was it meant to be autobiographical, albeit highly exaggerated, on Morley’s part (she suffered from underage alcoholism, perhaps inducing a troubled state not unlike Maisie Williams’ Lydia in this film)? Or was it just an abstract metaphor for the sexual awakening of these teenage characters? Whatever the intention, it left me feeling more confused than any film I had seen in a long time. 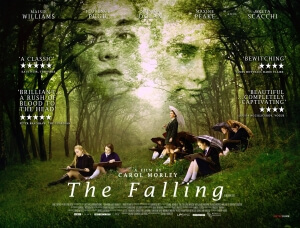 The only thing I could really comprehend was the stellar performances by its cast, from the cold and restrained adult performances by Monica Dolan and Greta Scacchi, as a battle-axe teacher and unsympathetic headmaster respectively, and especially Maxine Peake as Lydia’s spiteful and neglectful agoraphobic mother, to the bright and wilful spirits of its young performers, most of whom are making their acting debut here. Among the latter is Florence Pugh, an actress who leaves a lasting impression as the sexually active Abbie and seems fearless to go to certain extremes in her very first feature which make her stand out. However, this is Williams’ show and she delivers a performance that all at once leaves you breathless and utterly spellbound. Other than that, there was really not much else I could fathom about the film. But luckily, there was a hero seated two rows behind me. An elderly man, sporting a white-haired Sam Elliott moustache along with his silky blue Giants jacket and Greyhound cap, and his wife also saw the film with me, and while the latter – who I got talking to after taking a moment to comprehend what I had just witnessed – was just as perplexed, the husband had some choice opinions of his own. As it happens, his opinions were able to help steer me in the right direction with this movie, enabling me to understand it a little more. For instance, when our heated discussion got to the subject of the fainting epidemic that suddenly sweeps the school in the film, I was initially unsure as to why everyone else was affected by it when in reality Lydia is the more troubled one after a specific tragic event near the beginning. The film explains it as some sort of “hysterical contagion” which, according to research (i.e. a two-minute Google search), disguises a more psychological problem with physical attributes such as fainting, but even so was unsure as to how that works. Again, this Giants jacket-wearing pensioner had an interesting theory; as we see in the film, Lydia has a very troubled home life with constant neglect from her mother and a worrying attraction to her older brother Kenneth (Joe Cole) – well, at least Game of Thrones fans will find themselves in further familiar territory – with her own bond with Abbie growing ever stronger by the day. Once said incident occurs (which shall remain unspoiled here), it is enough to tip her already fragile mental state over the edge and go down a path of continuous fainting fits, something which the rest of the school follows suit with as part of a natural chain reaction. Basically, it’s a case of monkey see, monkey do in this very contained and stiffened environment where tight discipline is in place for anyone caught out of line, and Lydia just so happens to be the catalyst for this sudden rebellious trend. It was at this point in the conversation where I finally came to a clear realisation about Morley’s intention with the film; the aim was not to focus on the strange and unexplained phenomena, but rather depicting the spiralling mental breakdown of a tormented young girl which happens to reach fever levels. Having brought me to this conclusion, he knew his work was done and set off with his wife in tow. I never even asked for his name, but this man was able to help me understand a film I originally had no idea what to make of. The point of writing this review in this way was to get across how wonderful it is to just talk to someone about the film you just watched, and how other people’s opinions can help you see the film from a different angle. It may sound weird for a film critic to say, but you can’t just rely on one opinion; you need to take others’ into account whether it’s for better or worse. 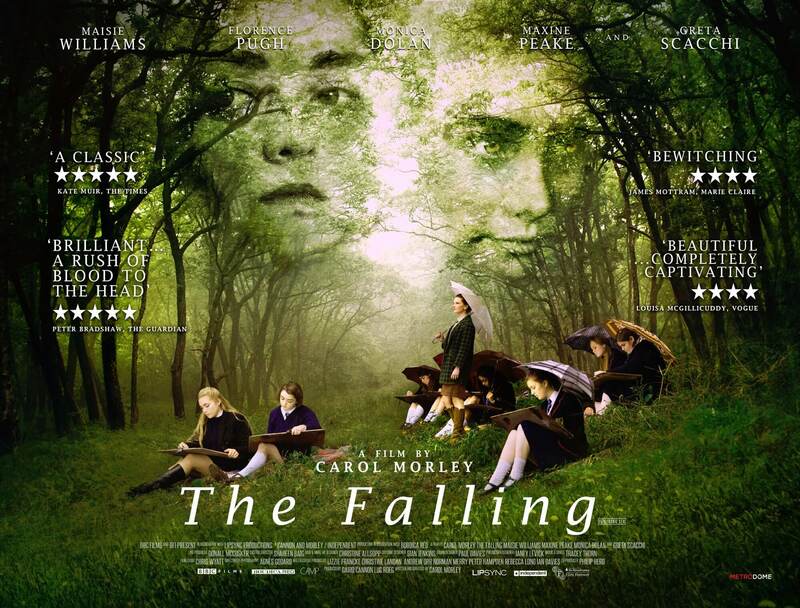 In this case, while The Falling itself isn’t perhaps going to feature on my own personal top 10 lists of the year, I still enjoyed what it was trying to do – even if it took a while to understand what exactly that was – and was able to all thanks to that mysterious man in the silk jacket. Wherever you may be, thanks for giving me that bit of a nudge.